Trailers are a crucial part of movie marketing. Clocking in at around two minutes and shared around the internet, they are often watched by millions. While they’re meant to convince people to see the actual movie, they don’t always succeed in doing so. Most of us have likely watched a trailer for a film we never wound up seeing. Sometimes trailers can be counterproductive if they reveal spoilers or are edited in an unappealing way. When a movie flops, directors often point to those trailers as a cause. Here are a few instances where directors complained about the trailers for their own projects. There were lots of issues with Terminator: Genysis. The cast didn’t like working on it, it didn’t make enough money, and the critics destroyed it. Another issue was one you might not expect: the trailer spoiled a bunch of twists. 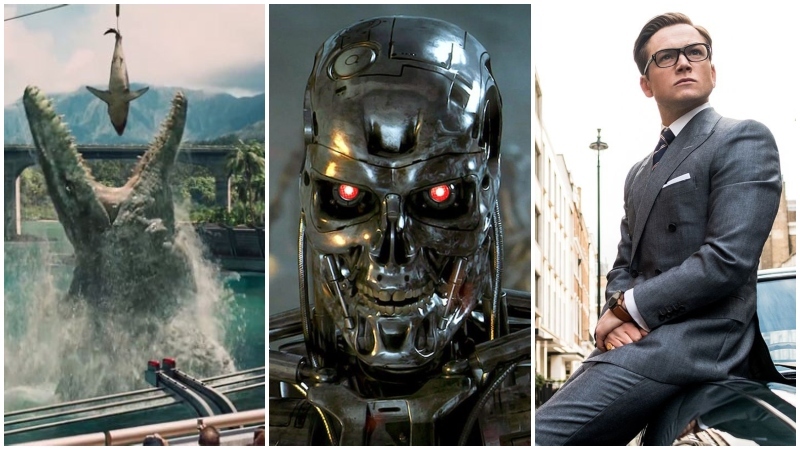 While it was action-packed, the first trailer also revealed John Connor as a villain as well as multiple other transformations. Director Alan Taylor wasn’t too happy with the trailer. “I certainly directed those scenes with the intention that no one would know,” said Taylor. Ironically, a similar thing happened with the previous Terminator film, which also had a spoiler-filled trailer. Let this be a lesson: if you’re ever psyched to see a new Terminator movie, stay away from the trailer. Kingsman: The Secret Service was a massive success. The sequel, The Golden Circle, also did pretty well. Nonetheless, one big issue existed with the initial marketing. The trailers weren’t necessarily bad. They had great music from Dave Crawford’s “What a Man” to The Who’s “My Generation” and featured many exciting action scenes. However, they also revealed that Colin Firth’s Harry Hart character would return after being killed off in the first film. Director Matthew Vaughn wanted that to be a surprise. “I begged the studio not to reveal it because it’s the whole driving force of the first act and if you didn’t know that scene, it would’ve made the whole audience gasp,” Vaughn told IGN. Next time, Vaughn wants to attempt some more creative control over his movie’s marketing. He can start with the next Kingsman movie. It didn’t stop there, though. While Trevorrow didn’t direct the sequel, he co-wrote Jurassic World: Fallen Kingdom and was also not happy with that movie’s trailer because it revealed part of the movie’s plot. Trevorrow was frustrated by that, although he added that a “very, very small percentage” would watch all the trailers and that the rest might only see one.